This week we welcome Miro Hrončok (@hroncok) as our PyDev of the Week! Miro teaches at Czech Technical University and helps out with the local PyLadies chapter. He is also involved with the Special Interest Group for Python in Fedora as he works for Red Hat in addition to his teaching position. 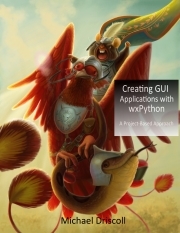 You can check out some of the projects he is involved in over on Github or check out his website. Let’s take a few moments to get to know Miro better! I’m a guy from Prague, Czech Republic, in my late twenties, yet both of my parents are from Košice, Slovakia, so I’m kinda both Czech and Slovak. I’ve studied Pascal at a gymnasium and later did my bachelors and masters in Computer Science/Software Engineering at the Faculty of Information Technology, Czech Tecnical University in Prague. Most of my hobbies are related to computers and technology but apart from that I have two Irish Wolfhounds and I love to ski. This week we welcome Maria Khalusova ( @mariakhalusova) as our PyDev of the Week! Maria works for JetBrains and will be speaking at AnacondaCON this April. If you’d like to catch up with her, you can check out Maria’s blog. Let’s take a few moments to get to know Maria better! Growing up I loved two things – math and books. I kid you not, I solved math problems for fun. Not surprisingly, I went on to study Applied Informatics at the Dept. of Mathematics and Mechanics of Saint Petersburg State University which I graduated from in 2007. This field is actually really close to modern Data Science, all the math parts of it were there, plus a good chunk of computer science program. 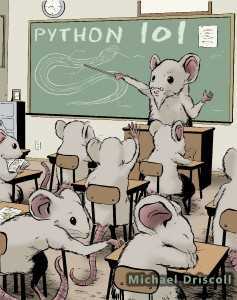 I only wish I got to learn Python at my University and not Java 😀 Sadly, back then such fundamental packages like pandas and scikit-learn didn’t even exist yet. Even before I graduated, I started working at JetBrains, first as a technical writer for IntelliJ IDEA. Fun fact: this June will be 13 years since I joined the company. I’ve changed projects, job roles, countries even, but not the company. 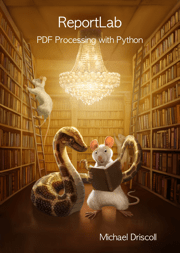 No Starch Press asked me to do a technical review of one of their upcoming books, Serious Python: Black-Belt Advice on Deployment, Scalability, Testing, and More by Julien Danjou last year. I had never worked with No Starch before, but decided to give them a try and see how they differed from Packt Publishing. I ended up liking their process and the book was fun to read as well. It should be noted that No Starch did not ask me to do a book review. They only wanted me to do a technical review for them before the book was published. 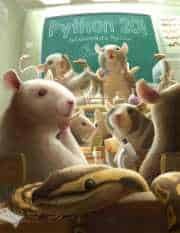 I am writing this review because I think this book should get a little bit more notice. Also I interviewed its author a few years ago, so you might want to check that out too. This week we welcome Mariusz Felisiak (@MariuszFelisiak) as our PyDev of the Week! Mariusz is a core developer of the Django web framework and a maintainer of the django-request package. You can follow Mariusz over on Github to see what he’s been up to. Let’s spend some time getting to know Mariusz! Few facts from my life. I’m a software developer with over 11 years of experience in designing and implementing web applications. I graduated in Computer Science in 2010. I defended my PhD thesis related with numerical algorithms in 2018. I’ve done this after few years of coping in the same time with open source activities, daily job and PhD studies. It was a really intense time. I’m always eager to contribute to open source projects which takes a large part of my free time, or at least it took before my daughter was born 🙂 I have been in love with Python and Django for 10 years. 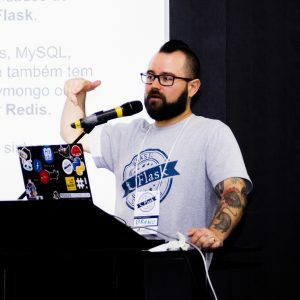 From 2017 I’m a member of the Django Core Team and the Django Software Foundations. In the middle of March I’m starting as a Django Fellow so Django will become my daily work! The funniest thing is that I should have more “free-time” 🙂 I’m a huge fan of open source and communities that stand behind them, that’s why I’m trying to be as involved as possible. I personally really love self-publishing or Indy Publishing, so I am a little biased. In this article, I will go over what I think are the pros and cons of Indy Publishing versus going with a “real” publisher. I get asked questions about my book writing process from time to time and I have been meaning to write about this topic for a while. 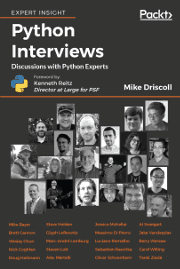 The main reason I wrote my first book, Python 101, was because of the readers on my blog. 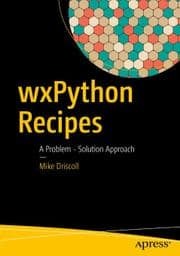 They had been encouraging me to write a book on wxPython for a while and I decided that I should start by writing an introductory book so I wouldn’t need to include a bunch of introductory information in my intermediate level book if I ever got around to writing it. This week we welcome Lilly Ryan (@attacus_au) as our PyDev of the Week! Lilly is a pen-tester. She is an organizer of PyCon AU 2018 and 2019 and an experienced speaker. In fact, Lilly will be giving a keynote at DjangoCon Europe later this year. You can learn more about Lilly by visiting her website. Let’s take a few moments to get to know Lilly better! I’m a pen tester from Australia. When I’m not hacking, I spend my time researching for talks, cooking, knitting a variety of strange things, and looking after two very cuddly greyhounds.